Haha, that's funny :D Yeah, and baby bellies don't get to be counted as fast! And that's such a funny motivational poster! Hahaha. That poster cracks me up. So funny. And congrats on the new chair. I love new things too. Probably because we don't get NEW things very often! I guess it makes us appreciate new things a little more, huh? You aren't FAT when you are pregnant. 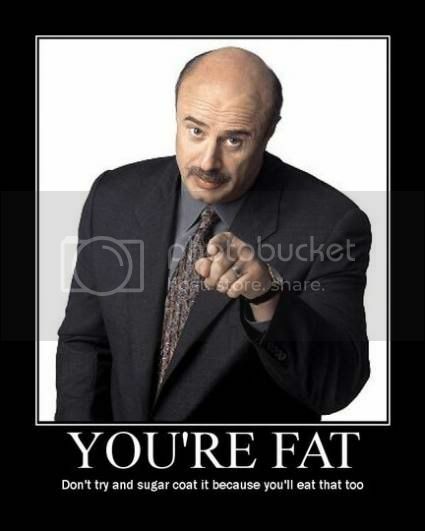 You are fat the day AFTER you have a baby. I'm working on that one right now. hmmm, at least you have a good excuse! Love ya hope you are well! Congrats!!! I'm so excited for you. I know you've wanted it for a long time.